Oxfam’s head will meet with a British government official to discuss how to move forward following a sexual misconduct scandal. London has threatened to cut off funding to organizations that don’t undertake reforms. The British charity Oxfam is under fire over accusations that some of its aid workers engaged in sexual misconduct in the aftermath of the 2010 earthquake that devastated Haiti, and that the agency subsequently attempted to cover-up the negligent behavior, according to British officials. Caroline Thompson, who chairs Oxfam Great Britain’s board of trustees, said charities that work in “fragile and unstable environments can become targets for abusers,” but that the organization is committed to fixing the problems it faces. She announced a seven-part plan aimed at protecting vulnerable people. Among the provisions is a pledge to work with other aid organizations to overcome “the legal difficulties which have so far prevented us from sharing intelligence” with other aid agencies regarding staff members previously accused of misconduct. The British government, meanwhile, has threatened to cut off funding to Oxfam, or any other aid organization that doesn’t cooperate with the government’s new effort to crack down on such abuses, according to Mordaunt, who expects to meet with Oxfam officials on Monday. 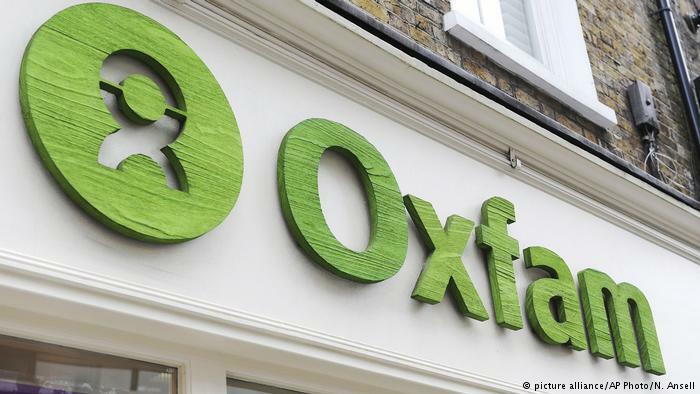 “With regard to Oxfam and any other organization that has safeguarding issues, we expect them to cooperate fully with such authorities, and we will cease to fund any organization that does not,” Mordaunt said in a statement. If Oxfam doesn’t fully cooperate “then I cannot work with them anymore as an aid delivery partner,” she said. Oxfam has denied allegations that it tried to hide that some of its staff paid prostitutes in the aftermath of the earthquake. The allegation that Oxfam has not fully cooperated with regulators and donors has sparked outrage in Britain. Thompson said the agency was introducing measures to strengthen its vetting and induction of staff, particularly in emergencies where it needed to recruit staff quickly. It said significant improvements have already been made since 2011.